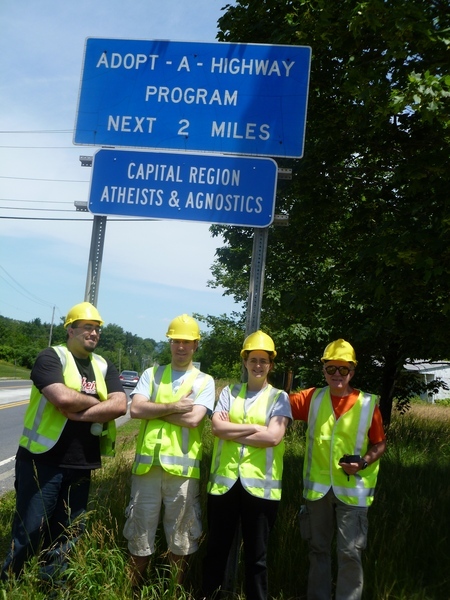 Our local Capital Region Atheists and Agnostics Meetup Group is at it again, cleaning up our streets and getting out the news that non-theists are good citizens. On Sunday, November 6th, they invite you to help clean up their adopted highway (Rt. 9R, in Latham, NY). Sponsored by the Capital Region Atheists and Agnostics, this special event celebrates yet another second coming (is it a twentieth coming if no one showed the first nineteen times? ), as predicted by lovable nutbag Harold Camping and his supporters. Come on out and join your fellow unbelievers for an evening of revelry in preparation for yet another eternal damnation! Sponsored by the Capital Region Atheists and Agnostics, this event is trying out a new location. Come on out and join your fellow unbelievers for an evening of good food and drink, great discussion, camaraderie, and support. In honor of the holiest day in the Pastafarian calendar, a piratey feast will be held! Capital District observers will meet at the Macaroni Grill on Wolf Road at 7PM on September 19th.